‘Star Wars age 9 comic’ has finished updating—for now: the movie is finished! But stay tuned. There may be more! ‘Disco Force‘ a truly terrible short comic based on a dream I had in 1978 or ’79! So what is the first ever adaptation? It’s a nearly 200 page multiple-style, multiple-pass comic adaptation or graphic novel—before that term even existed—of the first Star Wars movie. I started it in early 1978, not long after I’d seen Star Wars in late December 1977. It somewhat organically ended up being a combination of the pages that were made but not discarded as I got better at drawing. So there are very childishly drawn pages from when I was 9, mixed in with more accomplished ones done when I was around 15. Sadly, a huge amount of the earliest ones were lost to the wastepaper basket and replaced with fancy newer ones. I almost weep just thinking about that… But I’m glad that even at the age of 15 I was still happy to keep some of the most wonky, earliest ones in there. Empire Strikes Back Adaptation is coming! The Empire Strikes Back Adaptation is also… incomplete. Sadly, I never finished it. Maybe the task was too big for me among all the other stuff that was going on in my life after 1980. I was in Secondary school, probably 12 or 13—or older?—and other things were increasingly taking up my attention like schoolwork, pop-music, girls, and the many other comics that I was also making. I was at a point in my artistic development where a page would take longer than 15 or 30 minutes to draw, because I was expecting more from myself. This was probably especially true after I’d seen Al Williamson’s amazing artwork on Marvel’s comic adaptation of The Empire Strikes Back. I think I’d also lost interest in Star Wars before Return of the Jedi came out in 1983, so much so, that I never even went to see it in the cinema. Heavy rock and playing electric guitar were the biggest things for me by ’83 or ’84. Anyway, today, Jan 2nd 2018, I’ll post the first page of The Empire Strikes Back comic. 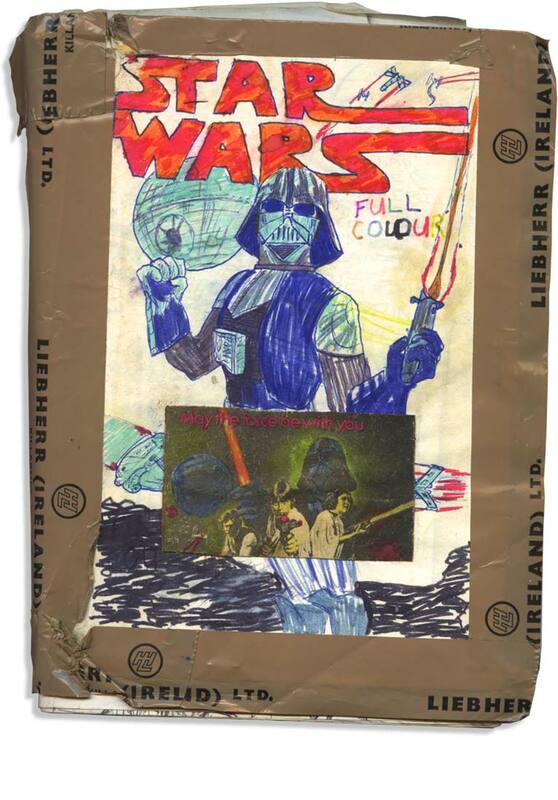 I can promise you a better average quality of artwork than the in the earlier ‘Star Wars’ adaptation, but less chuckles. I was getting quite serious about being a comics artist and wanted it to be the best it possibly be and as close to the movie, the Donald F. Glut novelisation and the ‘Storybook’ as possible. But how on earth did I expect to become a professional comics artist in Ireland of all places? Not one for practical matters, I just continued to dream of being one. Some Praise for SWa9, from Star Wars Kidscast! “One of my favourite pieces of fan fiction is (…) at StarWarsAge9.com . 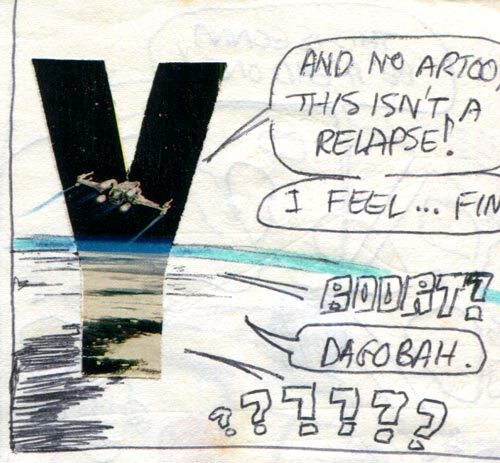 And what that is, is a guy who (chuckles) as a nine year old started drawing his own comics adaptation of the first Star Wars movie, Episode 4, and just kept going! And it’s an amazing document of his art developing, his skills as an artist developing as a young guy. As well as his fandom of Star Wars and his level of dedication.